The NEW Brocade 10GBase ER-XFP Compatible Transceiver Module has one 10GBase-ER interface, which is the LC Duplex Connector. As the description above, this optical transceiver module supports 10G data rate transmission, operated in 1355nm wavelength. For the transmission distance, it supports 40km long way transmission. Therefore, this 10GBase-LR XENPAK Transceiver Module is very suitable for 10G Ethernet, MAN(Metropolitan Area Network), Building Vertical Riser, Inter and Intra Campus, Data Centers and Other Optical Links in the super long distance applications. At the same time, this Brocade compatible XFP transceiver support Ethernet, Sonnet/SDH and Fiber Channel applications across all Brocade switching and routing platforms. 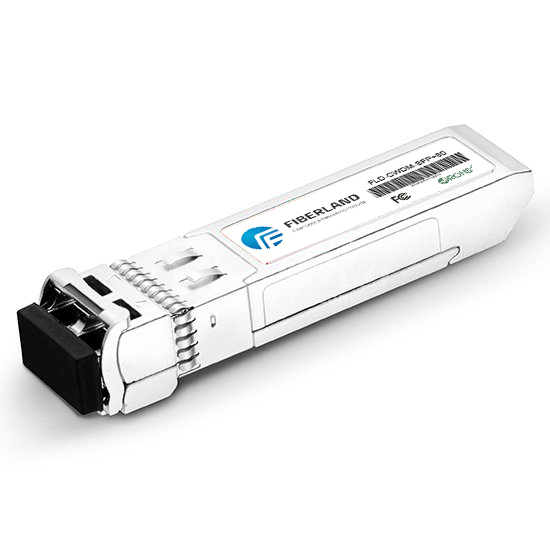 As a professional fiber optical transceiver module manufacturer and suppliers, Fiberland offers cost-effective standards-based Brocade Compatible XFP Transceivers. As a 3rd party OEM manufacturer, our Brocade XFP is delivered to worldwide from our factory directly. All of our Brocade XFP optical transceivers are tested in-house prior to shipment to guarantee that they will arrive in perfect physical and working condition. Buy with confidence, please.